Join the elite ranks and become a telemarker ! Discover the origin of skiing and begin to understand the beauty of this newly revived sport alongside a passionate specialist. With ZigZag’s expert instruction you’ll find true elegance, Norwegian style. Télémarking tuition is suitable for anyone who is capable of skiing parallel, so if you fancy joining a new, elite alpine club slip on a pair of télémark boots and you’ll never look back. We offer beginner, intermediate and expert télémark tuition guaranteed to make you feel good! 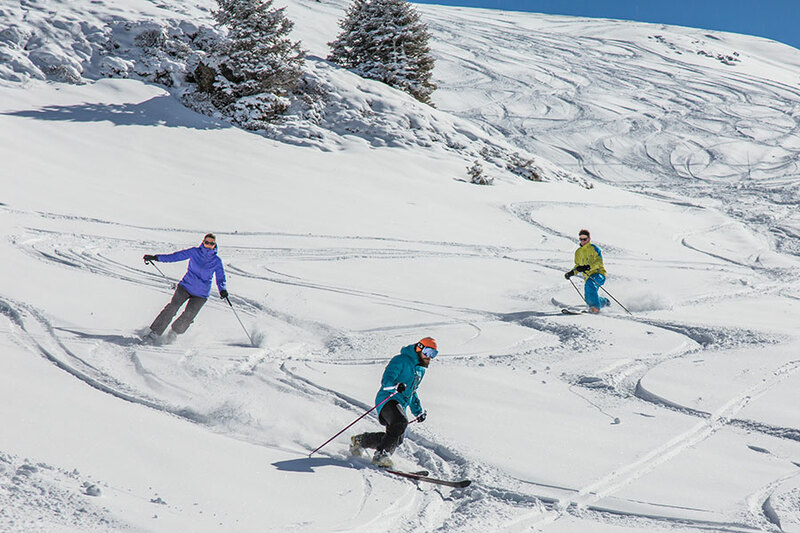 We offer private telemark tuition from (09h15-11h45) (12h00-14h30) and (14h45-17h15)*, or shorter sessions are available in the afternoons upon demand. *Please note that in December and January our afternoon sessions run from (14h00-16h30) as the lifts close earlier due to shorter daylight hours.